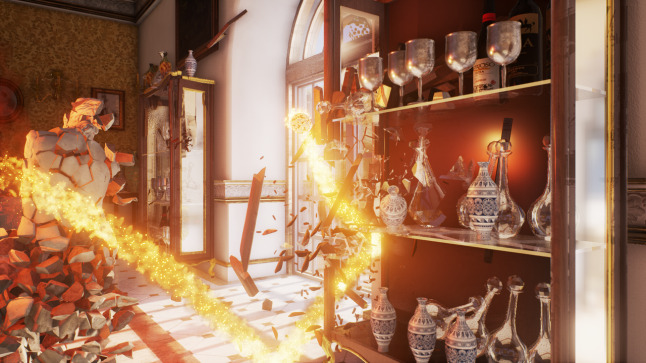 After leaving Criterion Games in 2014, cofounders Fiona Sperry and Alex Ward are making the rounds this week to get the word out about Dangerous Golf, the debut game from their new indie enterprise Three Fields Entertainment. What's interesting about the game is how it seems, at least on its face, to be a significant departure from the pair's prior work. They're best known for making racing games, starting with the cheekily destructive Burnout series and, later, some of the Need for Speed games. 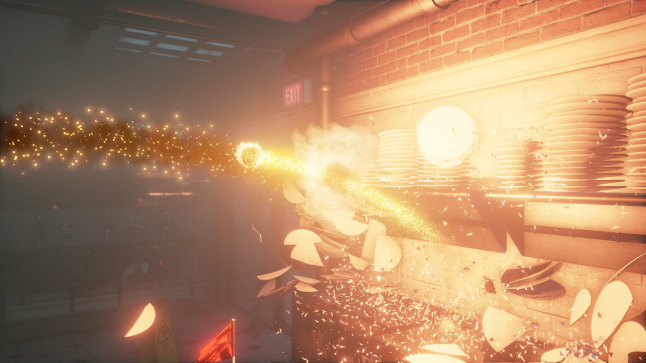 Since leaving Criterion in early 2014 they've made it very clear to fans that Three Fields is interested in creating a spiritual successor to the Burnout games, but Dangerous Golf is not that. What it is, at least according to their marketing pitch, is a lighthearted multiplayer golf game summed up as "Burnout meets Black meets NBA Jam." From a developer's perspective, it seems to be a bit of a pilot run. When I spoke to Fiona Sperry last week, she described it as a stepping stone for the newly-formed studio -- a way for the Three Fields team (many of whom are former Criterion talent) to sharpen their skills with tools and tech that will be important to their future projects. For now, Three Fields is aiming to release Dangerous Golf across Steam, PlayStation 4 and Xbox One in May. To give you a better sense of where it comes from, what follows is an excerpt from my conversation with Sperry about why she and her team feel compelled to make cheekily destructive games, and how Three Fields' philosophy of game design revolves around making games they can take home and play with friends. Why return to destruction-focused games with Dangerous Golf? Sperry: I'm not sure that we ever went away from that. I suppose, obviously, there were limits of what we could do when we were working on Need for Speed. But we have always made games we like to play, and we're very inspired by arcade games, games focused on high scores...to be honest, we just like to play and make games that put a smile on peoples' faces. I think we accomplished that with a lot of the Burnout games, and that desire definitely runs through the heart of the new company. What is it about that celebration of destruction, you think, that makes people smile? Well, things blowing up is always quite funny. I mean, in games anyway -- maybe not in the real world. We just think that...let's be clear, Dangerous Golf is a very stupid game. It's a ridiculous game. It's probably the stupidest game, certainly that we've ever made, and probably that's being made in the whole industry right now. It's completely stupid, it's irreverent, it's about as serious a golf game as Burnout was ever a serious racing game. There's a lot of really serious games out there, and there's also a lot of violent games out there. We just kind of feel there's room for something that's quite silly, and yet very destructive. That's what we want to make. So how do you walk the line between reveling in destruction in a funny way, and in a gross way? Well obviously, we had a lot of experience with Burnout. We don't put humans in our game, for that reason. We want to stay on the right edge of reality. It's real...but it's not really that real. It's like there's a ball, and a flag, and that's about as serious and as close to golf as it gets. You tee off the ball, you cause as much destruction as you can with this ball, and then you turn that ball into a bomb and take it around the level destroying as much as you can. And then you've got to get it into the hole, preferably with as much destruction as you can. Did you ever play Burnout Crash? It was a side mode in those racing games where you could drive into a junction, crash your car and then move it around to cause as much destruction as you can. And it was really popular, because anybody could play it. It was much more popular than we ever imagined it would be. And it was great because kids could play it, wives could play it, it was really popular because people could play it couch co-op with their friends and family. That's sort of the same vibe we're going for with this game. What sort of challenges did you face in shifting to work at Three Fields with a very small team? When we started the company, what we didn't want to do -- when people hear you've gone indie they say oh you're going to do mobile, you're going free-to-play -- and we wanted to challenge that assumption. Many of us -- and I think a lot of people making indie games would agree -- think being indie doesn't mean we can't compete with the bigger titles, at least in terms of graphical quality. The technology and tools that exist today really do allow a small team to do some amazing things. We've been working very closely with Epic and Nvidia. Their technologies are really world-class -- both the technologies and the tools that let us use that technology. What we set out to do was, we wanted to learn some things that would be really important to our future games. One of them was, how do we make a game really centered around physics? We don't see many games that do that. 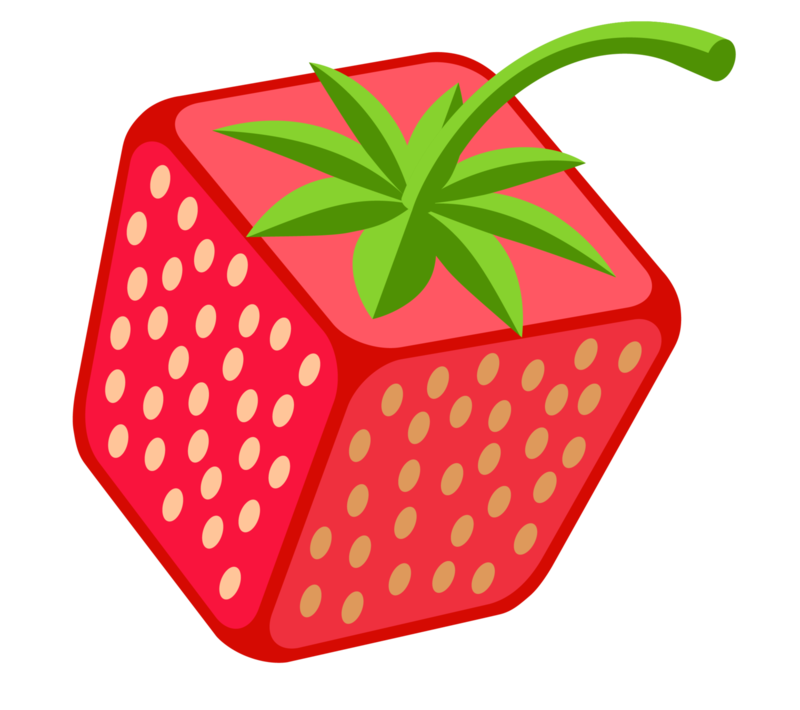 And the amount of physical objects we have in our game is huge, and it was a massive technical hurdle for us. Using PhysX has been really amazing, for that. The other thing is, the game, being really a very serious simulation of golf, so we needed like...liquids, splatters, because obviously one of the places you play golf in is a kitchen, and when you play golf in a kitchen you're going to destroy a lot of food, and get a lot of food all over the walls. So in a practical sense we've been using Nvidia's Flex technology to get deep into that. I guess the main challenges, then, were modeling physics and liquids. We studied some interesting work being presented at Siggraph, and that's what got us onto it first. We then saw that work being used by this guy in New Zealand, who works for Nvidia, who built this amazing physics technology, and that's what we're using. So we can't take any of the credit, really. It belongs to Nvidia. Using that, I think we'll show that small teams can compete with the big guys, and you'll see that more and more in the coming years. Is that why you didn't go with mobile for your first game? It seems like a popular platform for small-scale studios. We considered it. When we started the company we talked about a few different options, and there's a number of reasons we didn't go mobile. One is, we're console players at heart. We love PlayStation and Xbox, and we really wanted to do something across those platforms. That was really important to us. And secondly, we don't really know the mobile market -- we haven't really made any mobile games, and it seems like quite a different market. 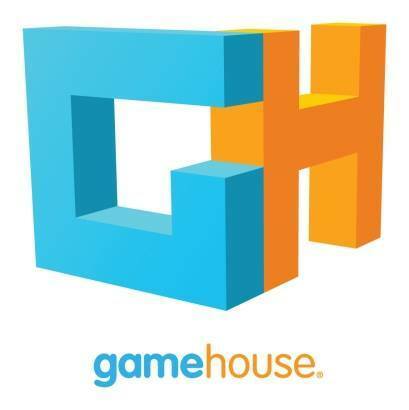 We felt this could be a perfect title for download on Xbox and PlayStation, and when we think back to the early days of [Xbox] Live, we had so much fun playing games together at night across the team -- games like Uno, or some of the simplest games possible -- and we had so much fun doing it. We love games that focus on playing with friends, and we like making games that allow for both competitive and cooperative play. So we built that into this game -- we have couch co-op, which is kind of rare today but we feel is very important. When we first founded the company, loads of people told us "Oh my god, I hope you make something like Burnout 3, that was so important to us." I was amazed by how many people said this to us, they said their relationships -- either with their partners or with their children -- were built upon sitting down and playing that game together. So that was very important for us. We think playing games with friends is the best. I suppose that's also why we stayed on console -- it's where our heart is, it's what we want to make. Why? What is it about these lighthearted competitive games that compels you to make them? I think games where the lead can change a lot, where suddenly someone can come from behind, someone who actually isn't very good at games generally, can still beat someone who plays games all the time, because they just got a lucky break. We always try to favor the player in the games that we make, and I think that makes for a more competitive and compelling game when you're playing side-by-side. Because all that banter you get, you know? We've always joked that our games were basically for kids and people just come back from a night out. They seem to appeal to both audiences, maybe because their mentalities share a lot in common at that point. What games inspire those feelings in you? Oh, when Live first came out we used to play Uno, and because it had the camera functionality, every night we made everyone bring a hat to the party. You had to bring a hat, and play. And really, what we were playing was irrelevent. The point was, we could just sit and chat and have a good time while playing this game. That definitely was a big influence on me. Also, Moto GP was a big influence on us early on, in Live. It was while we were making Burnout 3, and we realized -- Burnout 3 was our first online game -- and we realized that if we just made a straight version, a straight online racing game, everyone would just make each other crash. Because that's what you want to do! Even if you're playing side-by-side with someonee, you just want to drive into each other. So that really inspired what we did in Burnout 3, making a whole game about crashing and smashing into each other and into walls and stuff. Those are the kinds of things that inspire us. What cna you do in the game to drive somebody else off-course and have a completely terrible score, so you can beat them? What can fellow designers learn from your experiences? What are the core elements of a satisfying multiplayer game? We just do the best we can, and make the games we want to play. That's always the advice I give to other developers: just do what's in your heart, make a game you want to play, and don't overly worry about what everyone else thinks. I suppose that would be my advice: make a game that you have fun playing together, in the office, and that you can take home and have fun playing with other people. I think you've just got to put people in front of your game and see if they like playing it, and if they want to keep playing it. If they do, I think you're on to something. I think many developers would agree, but they might be concerned that the games they want to play are not the games that will sell well enough to pay their bills. Oh no, they mustn't do that. I was at EA for ten years, and I saw so many people -- everyone wants to make what they think somebody else will want. You've just got to make what you want to make, because that's the whole point. That's the point of being a creator: that you have a point of view. And you've got to make something that you love. When I first met Alex [Ward], like a million years ago, that's what he was about. He'd never made a game when we first met, and our first game together was Burnout. He just said "Hey I want to make a driving game, because I've played a load of them." So that's what we did.